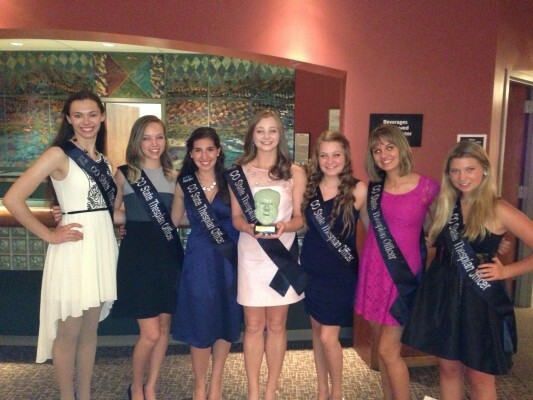 You can apply to be a State Thespian Officer and represent your school at the state level. Application Deadline is February 1st each year. 1) Applications for 2020 are accepted online at Thespian Point Tracker, deadline Feb. 1st. 2) Applicants must receive a recommendation from their teacher, Colorado Thespians will contact your teacher for this recommendation. No applicant will be reviewed or interviewed without a teachers recommendation. Colorado Thespians will contact your teacher after Feb. 1st to obtain their recommendation. For your online application, make sure you fill in the “Events” and “Awards” section within Thespian Point Tracker, which can be done before or after you pay for your application. Filling in these two areas, tells us what you have accomplished. Once you have paid, you have officially submitted your application. 3) If applicants receive an acceptable recommendation score, they will be notified by email, text, or phone for a phone interview. Phone interviews take place on Saturday, Feb. 8 from 8:30 – 12:00 pm, if you are in rehearsal, please inform your director that you will have to step out for five minutes to take the interview call. 4) The final STO list will be posted here on or after the phone interviews are completed. Enjoy our Thescon 2015 Intro Video. 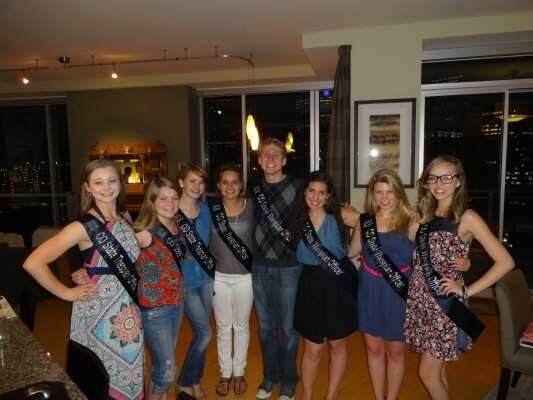 2013 STO’s with their new sashes. 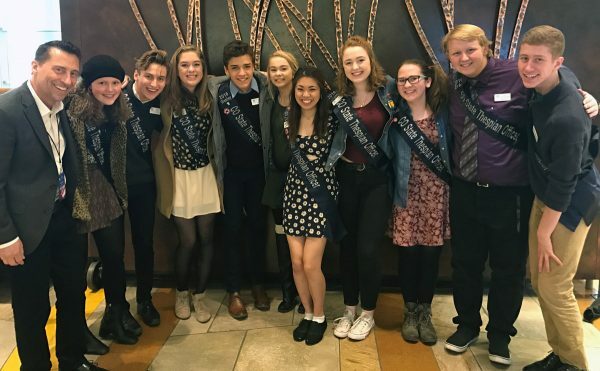 Watch this page for updates on what your state thespian officers are doing. Watch for updates on Facebook for our next meeting.